Come celebrate and enjoy with Toronto at exciting major events and fun-filled local festivals. 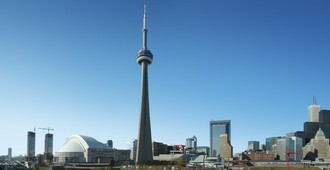 Visit Toronto attractions and experience nature, entertainment, adventure and history. Take out some time to enjoy with your family and visit the beautiful and amazing places present in Toronto. Come and visit halls of great galleries and museums and discover history of Toronto and Canada. Nuit Blanche (french for White Night) is a dusk-to-dawn celebration of the arts held in early fall. Galleries and museums, both public and private, open their doors all night, free of charge. City spaces and neighbouhoods become temporary exhibitions, and unusual or spaces normally closed to the public are opened to all. Originally started in Paris, France, in 2002, Nuit Blanche is now held in 25 cities around the globe. Toronto held the first North American festival in 2005, and the event has only grown since then. With close to 1 million people, 500 hundred artists, and 130 exhibitions, this festival is not to be missed.